The pattern is doubling and adding one. Or if you think of there being an additional possibility of no rhythm within a beat, that’d mean you’d add 1 to each group so it’d run 2, 4, 8, 16, 32. Patterns can be a great shortcut to learning something quickly or grasping things conceptually. 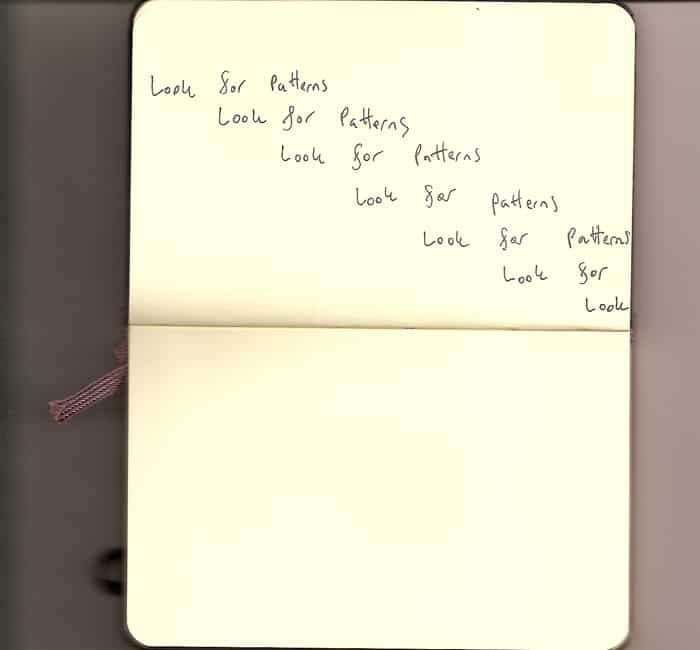 Music is FULL of patterns. Look for them in melodic motifs, chord progressions, form, arrangement, composition, lyrics. Look for the patterns in anything that has form: porticos, poetry, pottery, paintings, pomegranates.